Aloke joined Watsi on December 22nd, 2014. 64 other people also joined Watsi on that day! 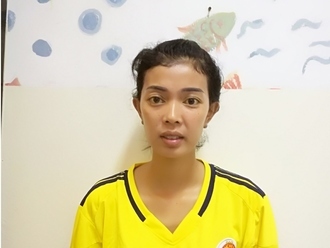 Aloke's most recent donation traveled 7,400 miles to support Srey Nin, a young woman from Cambodia, to fund fracture repair surgery. Aloke has funded healthcare for 39 patients in 11 countries. Manilyn is a 26-year-old woman from the Philippines. The youngest in her family, she lives with her parents and takes care of the household. Last year, Manilyn began noticing swelling in her neck. Soon, she began experiencing headaches, neck pain, and the feeling that something was obstructing her throat. She was diagnosed with a goiter, a benign swelling of the neck's thyroid gland, and needs an operation to prevent her symptoms from getting worse. 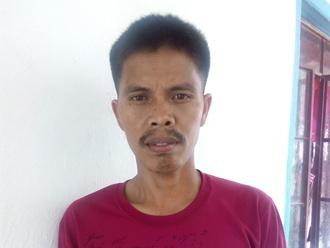 Our medical partner, International Care Ministries (ICM), is helping Manilyn receive treatment. On August 4, surgeons will perform a thyroidectomy, removing the affected area of Manilyn's thyroid. ICM requests $1,222 for Manilyn's treatment. "I hope and pray that you will support my operation because I want to return to my normal functioning and, after my operation, I want to pursue my dreams in order to help my parents," says Manilyn. Thu Rain is a four-month-old baby boy. After his birth, his mother noticed a small lump on the back of his head. Doctors recommended that Thu Rain be taken to a neuro specialist to have the lump examined, but due to financial restrictions and discouragement from friends and family, she decided against the advice of the doctors. Thu Rain's mother believed the small lump, no bigger than a quail's egg, would eventually flatten out on its own. Over time, the lump began to grow, and Thu Rain's health began to deteriorate. He could not sleep comfortably. Thu Rain's mother eventually took him to our medical partner's care center, Mae Tao Clinic, where doctors decided he needed an MRI. This test will provide information about the lump on Thu Rain's head and help the medical staff plan for treatment. Our medical partner, Burma Children Medical Fund, has requested $968 to cover the cost of the MRI. Thu Rain is scheduled to receive his MRI on January 30. Win Win is a 42-year-old woman who lives in Burma with her husband and son's family. Two years ago, Win Win noticed pain in her lower abdomen. She has sought treatment on multiple occasions, but her symptoms have relapsed each time. After she received an ultrasound, doctors found a uterine myoma, or noncancerous mass, in her uterus. Win Win will undergo a surgery on January 26 to remove her uterus and the mass. “I really want to be healthy again," expresses Win Win, "so I can go back to work and save money to pay back my debt.” Her family operates a knife-repairing business but does not have the funds to cover the surgery. Our medical partner, Burma Children Medical Fund, has requested $1,500. This will cover Win Win's surgery and hospital stay. Samuel is 38 years old and from the Philippines. He is a loving and hardworking husband and father to three children. One of his goals as a father is to see all three of his children finish their schooling and get good jobs. A few years ago, Samuel began to experience pain in his groin and swelling in his lower abdominal area. Since then, he has been unable to lift heavy objects and perform strenuous activities, making his job as a farmer difficult. With his family depending on him, Samuel decided that he would continue to work. Due to their limited income, Samuel did not pursue treatment right away. However, with the help of his wife, Samuel was connected with our medical partner, International Care Ministries. Samuel shares, "I thought I would not be given a chance to have the surgery and would have this condition for life, but amazingly because of prayers this great opportunity comes. You are the answer to our prayers." After a series of consultations and tests, Samuel discovered that he had an inguinal hernia, a condition in which an organ protrudes through weakened muscle, and a hydrocele, which had been causing the swelling. He is scheduled to receive reparative surgery for both conditions on February 2. After receiving treatment, Samuel will be able to work with ease again and provide for his family without having to worry about his condition. "I am so thankful that you came along, and I consider you a great blessing to our family. After the surgery and when I fully recover, I will work well for my family, and spend quality time with my children and wife," says Samuel. "We are looking forward to a successful surgery." Since her birth two months ago, Melany has been growing too slowly. Her mother has been unable to produce sufficient breast milk to nourish Melany. Lactation failure can lead to starvation and dehydration, as well as provoke electrolyte imbalances that can cause seizures. Brain development occurring during this delicate time can also be compromised, putting Melany at risk of long-term damage. To stabilize her condition, Melany was given a preliminary supply of formula. This will last until the nutritionist at our medical partner, Wuqu' Kawoq, can create a nutritional plan and formally begin treatment. Melany lives with her parents and three siblings in rural Guatemala. Her father works driving cars and trucks, and her mother takes care of the home. Her parents do not have the financial resources to pay for the baby formula that Melany needs. Her family’s limited resources put treatment for Melany outside of economic reach. Watsi is asking for $1,107 to fund Melany's treatment, which will begin on January 30. Your donation will help supply Melany's mother with baby formula and health education, which will ensure Melany receives the calories she needs to grow and thrive. One-on-one education with Melany’s mother will teach her the signs of malnutrition and other illnesses, as well as how to create a nutritious, inexpensive diet for Melany. Melany’s immune system will strengthen, and she will grow to be a healthy, energetic baby. "We want Melany to become a nurse," say Melany's parents, "so that she can help others just as she is being helped." Poe is a 34-year-old man from Burma. He works as a border security guard and protects the Burmese border. While on the way to get a haircut, Poe hit a patch of loose gravel and was thrown off his bike. Poe landed on the side of the road and was knocked unconscious. When Poe woke up after the accident, he knew that his leg was broken. He was unable to stand, and a passerby helped him get to our medical partner's care center, Mae Sot Hospital, for an X-ray. The X-ray showed displaced fractures to the tibia and fibula of his right leg. The X-rays revealed that Poe will need surgery to fix the fractures. 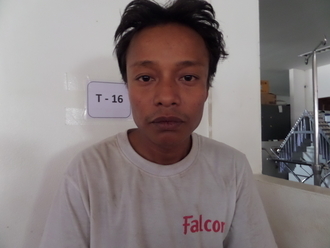 On January 27, Poe will undergo an internal fixation procedure to mend his broken bones. He needs help to fund this $1,500 procedure. "Thank you for helping me. I hope I will recover from this very soon so that I can play cane ball with my friends," he says. 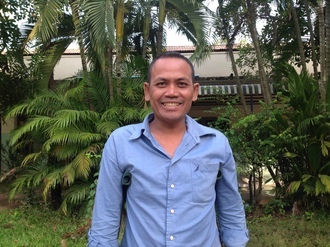 Thun is a 33-year-old gravedigger from Cambodia who is married with one son and one daughter. In his free time, he likes to listen to music and to make his own tools for building and digging. When Thun was 13 years old, he was involved in a motor vehicle accident that resulted in hip trauma. However, it was only later that he began experiencing hip pain, first on his right side in 2010, and then on his left side in 2011. Thun was diagnosed with osteonecrosis of both hips, a condition in which bone cells die due to a lack of blood supply, leading to the destruction of the hip joints and arthritis. Thun took steroids as treatment from 2014 to 2016, but his symptoms unfortunately did not improve. Thun first visited our medical partner, Children's Surgical Centre (CSC), on January 2 because he was experiencing hip pain so severe that he could hardly walk without support. To treat this condition, surgeons successfully performed a total hip replacement on his left side. 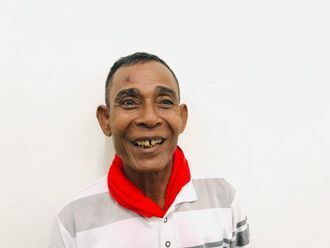 On January 31, Thun will return to CSC's care center, Kien Khleang National Rehabilitation Centre, for a total hip replacement on his right side, which will help him walk better and relieve his pain. CSC is requesting $781, which will pay for Thun's hip prosthesis, surgery, physical therapy, and 14 nights in the hospital.